The real estate agent said he didn't expect to get a "princess premium" on the final price tag. THE CANADIAN PRESS/HO-Freeman Real Estate Ltd.
A Toronto house once rented by actor Meghan Markle is shown in a handout photo. TORONTO — A buyer has been found for the Toronto house where Prince Harry and "Suits" actress Meghan Markle spent time before announcing their engagement last month. Real estate agent Alex Beauregard says the two-storey, three-bedroom house — which the future princess rented for two years — had drawn a lot of interest since it was listed last week, at $1.395 million. Beauregard says he cannot reveal the selling price until a cheque from the buyer has been deposited. He says more information would be released on Thursday. The sellers began taking offers at 4 p.m. on Wednesday. 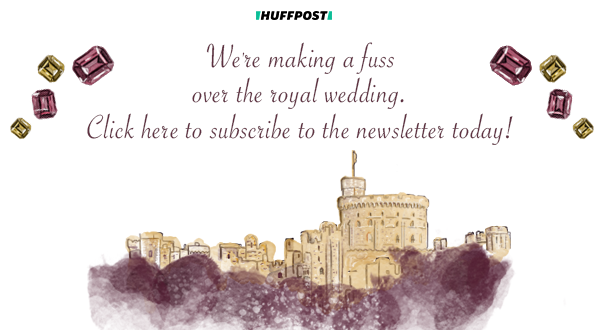 Markle, who is from Los Angeles but lived part-time in Toronto since 2011, and the British royal announced their engagement on Nov. 27 after a courtship that involved visits on both side of the pond. Markle is best known for her role as paralegal Rachel Zane on USA Network's hit "Suits," which is filmed in Toronto. The actress and Prince Harry plan to tour Britain over the next six months to give Markle an opportunity to learn about the country before their May wedding in the chapel at Windsor Castle, and as she prepares to move into Kensington Palace. Beauregard, an agent with Freeman Real Estate Ltd., said the added curiosity surrounding the engagement drew 150 people to its open house last weekend, with some waiting as much as 20 minutes to get access. That's roughly 50 per cent more visitors than at a similar showing in the neighbourhood, he said. We had a person walking through asking too many questions about, 'Did Prince Harry use this table and this chair?'... You can figure out fairly quickly who is serious. However, Beauregard said many of those were "looky-loo" viewers with a royal fascination and roughly 20 appeared to be actual prospective buyers. "We had a person walking through asking too many questions about, 'Did Prince Harry use this table and this chair?'... You can figure out fairly quickly who is serious," he said. The sellers, former Flare magazine fashion editor Elizabeth Cabral and Kevin O'Neill, already had three registered offers and Beauregard said he expected them to select from between 10 to 15 offers. Not expecting a "princess premium"
Still, the real estate agent said he didn't expect to get a "princess premium" on the final price tag for the house, located in the tony Seaton Village neighbourhood in Toronto's west end. "I don't feel like we're going to see a princess premium," he said. "Would you pay an extra $20,000 because the prince used this washroom? I don't think most people would pay a premium."